In the aftermath of the September 11 attacks, Chiu and fellow CSUN students drove to the scene to cover the tragic event. Chiu was honored as a 2017 SoCal Journalist of the Year. Photo by Ringo Chiu. A woman escapes from a fire in a factory in Hung Hom, Hong Kong, in an eye-catching image from CSUN alum Ringo Chiu's portfolio. Photo by Ringo Chiu. 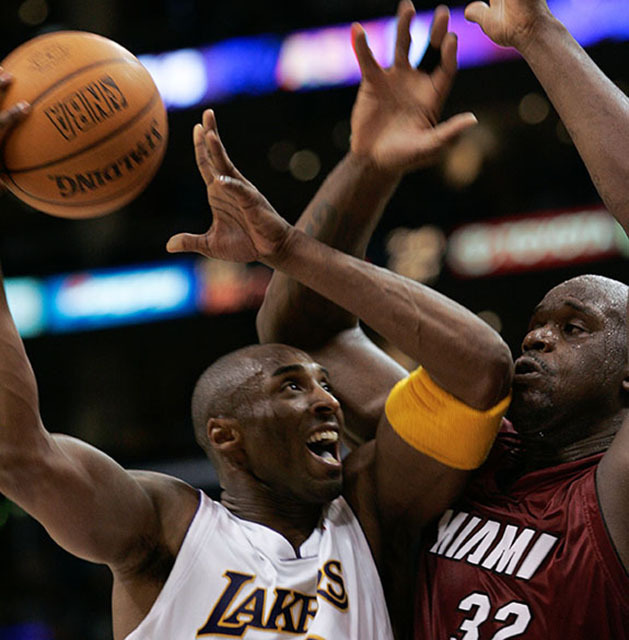 Kobe Bryant and Shaquille O'Neal are just two of the many icons that CSUN alum Ringo Chiu has photographed throughout his career. Photo by Ringo Chiu. CSUN alum Ringo Chiu, whose portfolio includes icons such as Kobe Bryant, President Barack Obama and Vin Scully, was named one of eight SoCal Journalists of the Year. Photo by Lee Choo. It was the morning of Sept. 11, 2001. 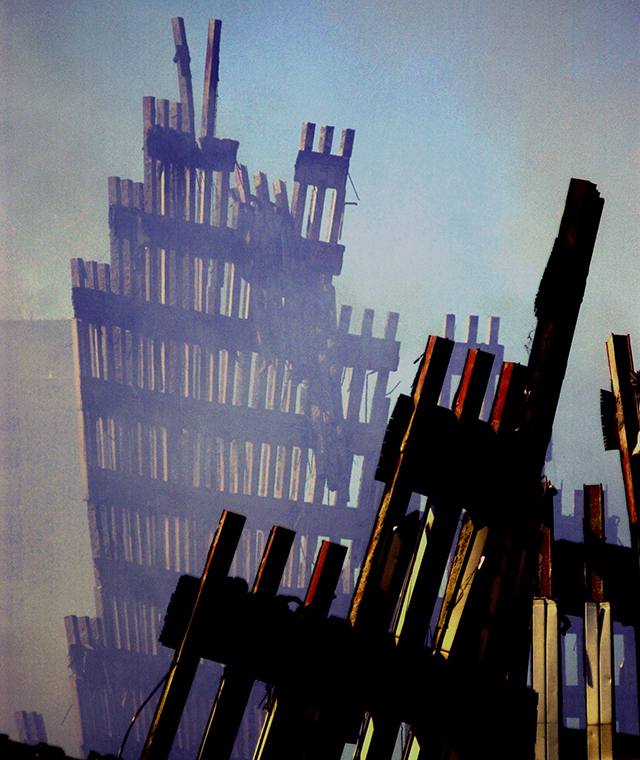 The first of two planes had just crashed into the north tower of the World Trade Center. Ringo Chiu ’01 (Special Major) was sitting in a photography class at California State University, Northridge. That day, he and two classmates decided to go directly to New York City. A decade and a half later, the memory is still vivid for Chiu. In the midst of the smoke, rubble and broken windows of surrounding buildings, Chiu captured the aftermath, both physical and emotional, of the World Trade Center attacks. It was a defining moment for Chiu, who has since shot thousands of photos professionally, including nearly 15 years as a staff photographer for the Los Angeles Business Journal. Now, his innovation, dedication and extensive portfolio have been celebrated locally. In June, the Los Angeles Press Club named him one of eight SoCal Journalists of the Year for 2017. Chiu said he is thankful for his CSUN education, where he learned to be a better photographer because professors emphasized that he had to be good at photographing all things, not just specializing in one area. A prolific photojournalist, Chiu’s portfolio features more than 2,000 photos. He has covered sporting events, natural disasters and protests — to name a few — and he’s captured influential figures such as David Beckham, Vin Scully, Kobe Bryant, former President Barack Obama and United States Sen. Kamala Harris. 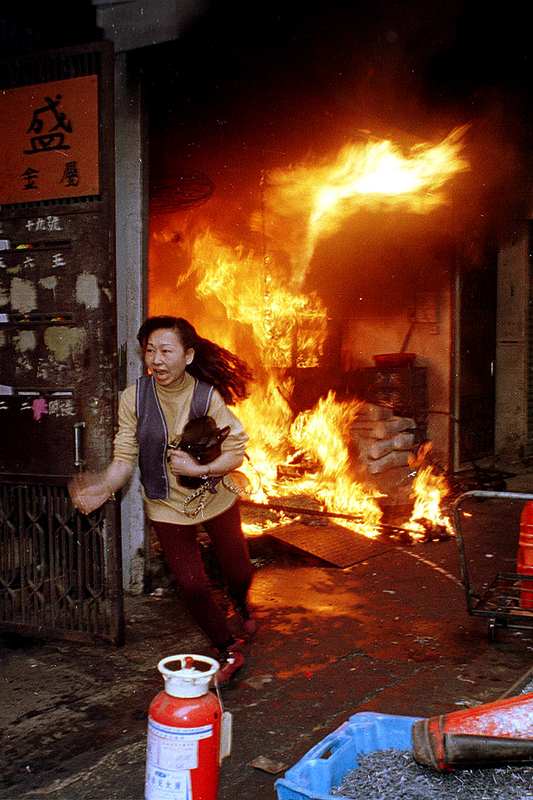 Born in mainland China and raised in Hong Kong, Chiu got his start in photojournalism at age 19, when he landed a job at the Hong Kong Express newspaper, assisting the paper’s staff photographer from 1989-90. In 1995, his dedication to his photojournalism career landed him the position of chief photographer at Sing Tao Daily, the biggest paper in Hong Kong at the time, he said. The award-winning photographer met his wife, Kam Ho ’00 (Management Information Systems), in high school. The couple married in Oct. 1995 and moved to Los Angeles in December of that same year, to pursue their dreams of higher education. At first, Chiu faced many challenges, including a language barrier: He did not speak English. Once in LA, he and Ho enrolled at Santa Monica College, both eventually transferring to CSUN in spring 1996. Chiu enrolled in what is called a “special major,” a major designed to meet the academic needs of CSUN students whose educational goals require study in three or more academic disciplines. These needs must also be unachievable within the framework of existing majors or minors, or within 120 units. For him, those disciplines were photography, English and journalism. Chiu said he still fondly remembers his time on campus. 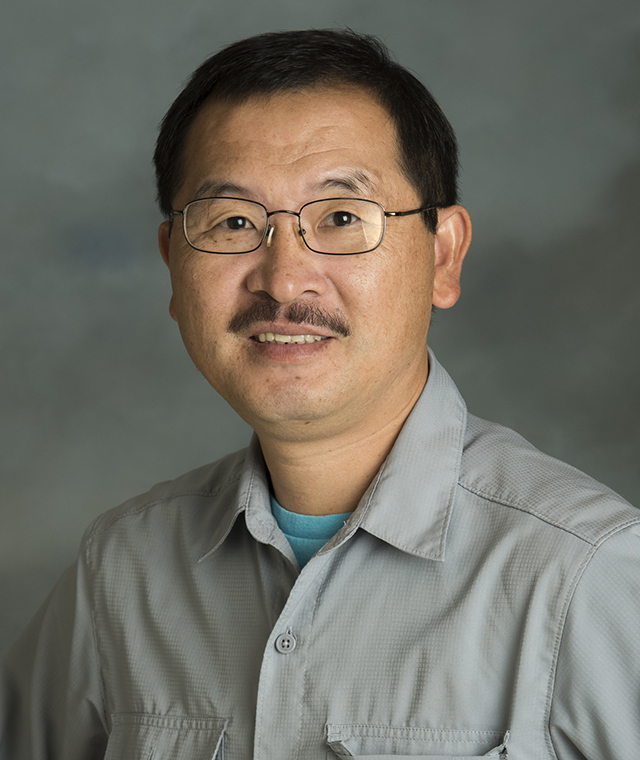 Since he had comprehensive professional experience by the time he enrolled at CSUN, Chiu was able to work with professors to establish a unique curriculum and take classes in different areas. Covering the Sept. 11 attacks, he said, is still one of his most memorable experiences. “The self-motivation of having traveled from LA to NYC without having been assigned to [cover] the historic tragedy [made] me very proud that I made the journey,” he said. But if there were one thing he could add to his portfolio, Chiu shared, it would be a solo shot of Obama. To browse Chiu’s extensive portfolio, please visit https://ringochiu.photoshelter.com/index/C0000ess5a2r237s.